Smoking Opium – What are the short and long-term effects? As the second fastest method of taking a drug, smoking causes opium to hit the brain quickly1. In general terms, opium is a sedative and an analgesic, or a pain reliever. It slows down the parts of the brain that control automatic body functions such as breathing, digestion, allergic reaction, and feeling pain. Overall, there is a danger of overdose with first use. As a person’s breathing can slow too much, or even stop. to smoke opium, the raw material or a dried powder version of it is heated, and the released vapor is inhaled. Smoked opium travels quickly from the lungs to the brain. In the beginning, users feel euphoria or a high feeling of pleasure. Particularly, as the brain floods with opium, body functions slow down. A person feels drowsy and like they are a dream state. The body quickly develops a tolerance to opium, needing more of the drug to achieve the first pleasurable state. The quest for pleasure and glee becomes a compulsion to get more opium. As a result, drug seeking behavior increases often leading a person to neglect other aspects of their health. Also, when taking more, uncomfortable withdrawal symptoms can occur as soon as a dose wears off. Avoidance of feeling sick creates more of a need for the drug. Increased toxins in the lungs due to smoking and contaminants in the opium or smoking tools. Chronic slowing of breathing can cause problems related to low blood oxygen. The weakening of the immune system causes users to get sick more often. Chronic skin flushing and itching because opium triggers the body to release histamines which cause allergic reactions. As a sedative and pain reliever, opium causes body systems to slow down. Therefore, a person experiences a drowsy, dreamlike state with a decrease in feeling pain and anxiety. Risks include breathing slowing to a stop. Long term effects include health problems and increased drug seeking behavior due to tolerance and the need to avoid withdrawal symptoms. 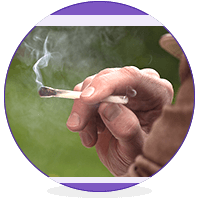 Addiction Resource » Addictive Substances: The Anatomy of Drug Addiction » Opium – Everything You Need or Want To Know About Opium Addiction » Smoking Opium – What are the short and long-term effects?